Do not to think about your previous Examination, do not think what you did in that exam, just think that was a mock practice only, and start your preparation with fresh mind today with India’s renowned coaching institute for Psychology, and assure your result of December 2018 NET JRF Psychology Exams. You need only a better guidance and support of expert. UPS Education is the India’s No.1 Psychology Coaching Institute. 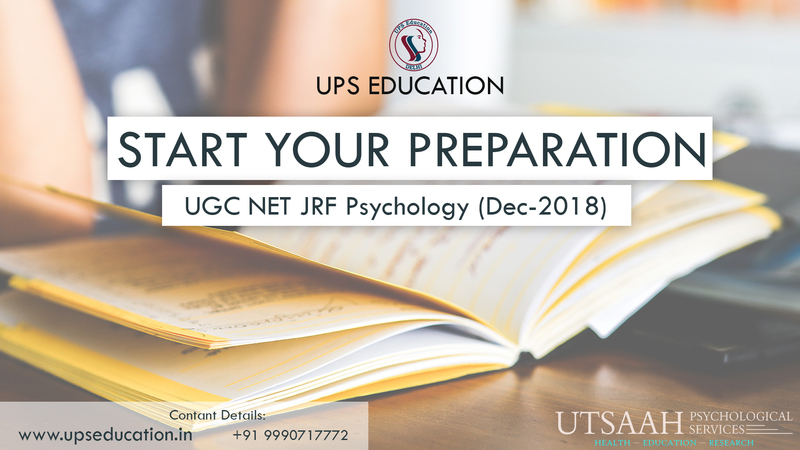 Start your Preparation for December 2018. This entry was posted in Best CBSE NET Psychology Best CBSE NET Psychology, Best NET Psychology Coaching, Best NET Psychology Coaching in Delhi, CBSE NET JRF Psychology Coaching, CBSE NET Psychology Coaching, How to Crack UGC NET PSychology Exam, NET JRF Psychology, NET JRF Psychology Coaching, NET Psychology, NET Psychology Coaching, NET Psychology Coaching in Delhi, UGC NET Psychology, UGC NET Psychology Coaching and tagged NET Psychology Coaching, net psychology preparation, preparation for ugc net psychology on August 30, 2018 by UPS Education. 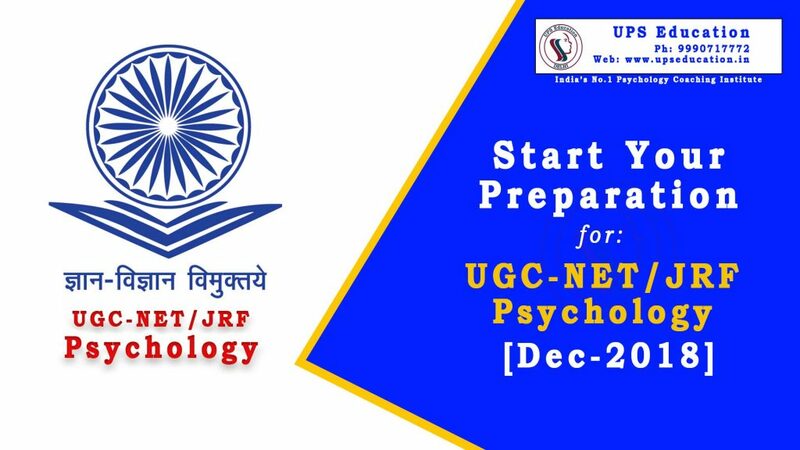 Are you ready for December-2018 UGC NET Psychology Examination? 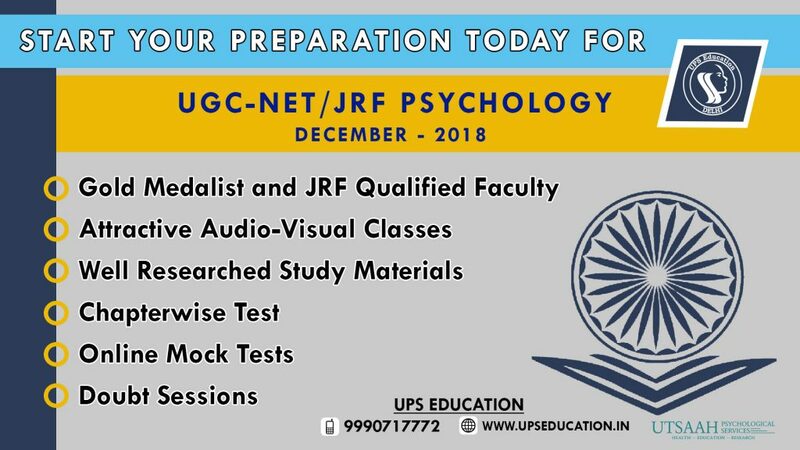 Do not miss the chance to crack examination this year. 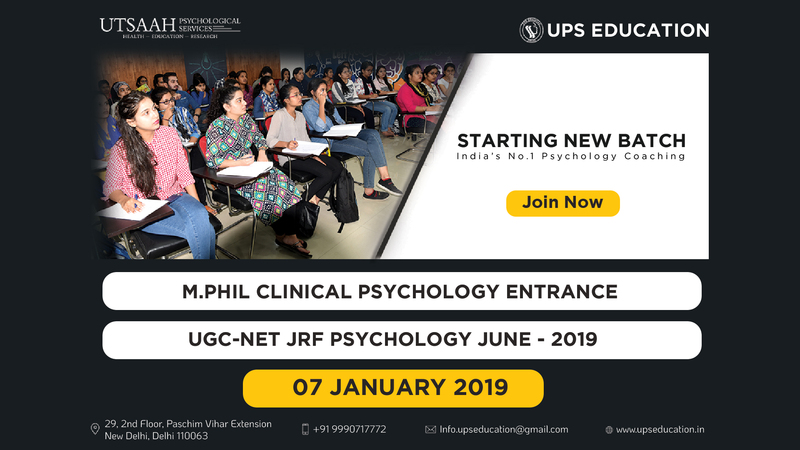 Start preparation with UPS Education Join our new batch starting from 28-08-2018. Key highlights of our facilities. 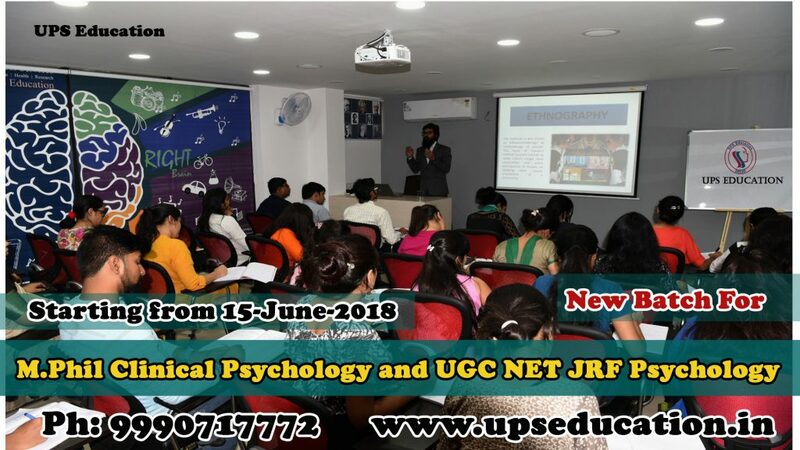 This entry was posted in Best CBSE NET Psychology Best CBSE NET Psychology, Best NET Psychology Coaching in Delhi, CBSE NET JRF Psychology Coaching, CBSE NET Psychology Coaching, How to Crack UGC NET PSychology Exam, NET JRF Psychology, NET JRF Psychology Coaching, NET Psychology, NET Psychology Coaching, NET Psychology Coaching in Delhi, UGC NET Psychology, UGC NET Psychology Coaching and tagged net exam 2018, net psychology exam, nta net psychology on August 22, 2018 by UPS Education. All the best for you result. 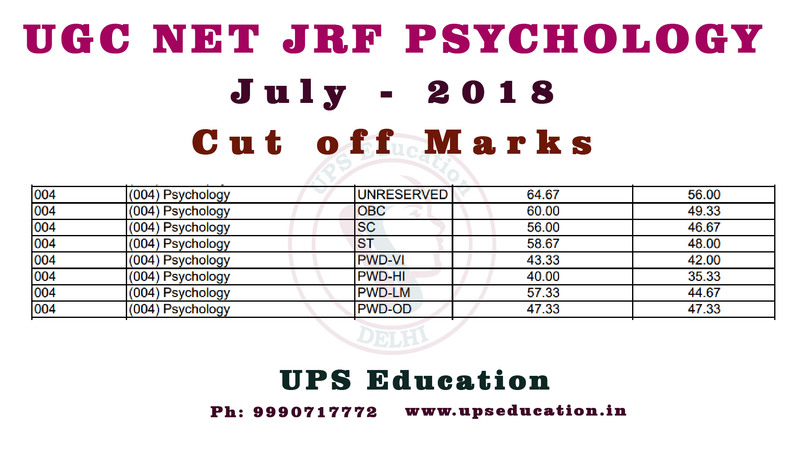 This entry was posted in Best CBSE NET Psychology Best CBSE NET Psychology, Best CTET Coaching in Delhi, Best NET Psychology Coaching, Best NET Psychology Coaching in Delhi, UGC NET Psychology, UGC NET Psychology Coaching and tagged cut off marks for net psychology 2018, net psychology july 2018 cut off marks on July 31, 2018 by UPS Education. 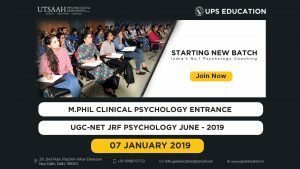 Hello Dear Psychology Aspirants, Do you want any assistance for your Psychology Entrance? 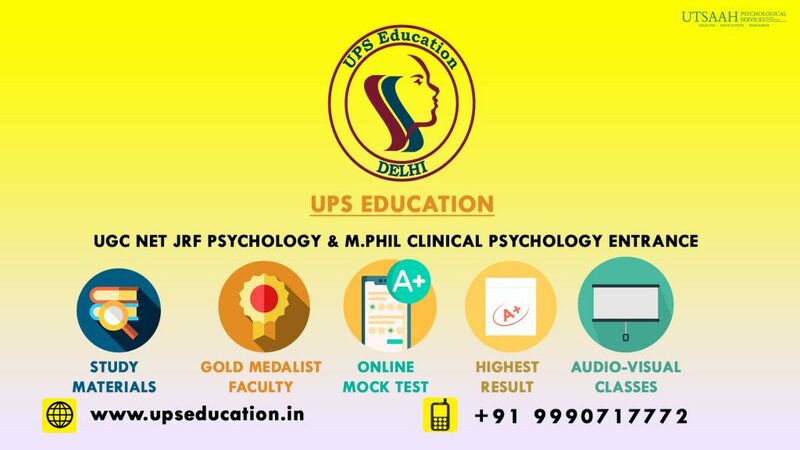 Contact UPS Education for any Guidance and Help for Psychology Entrances, UPS Education is India’s No.1 Psychology Entrance Coaching Institute. 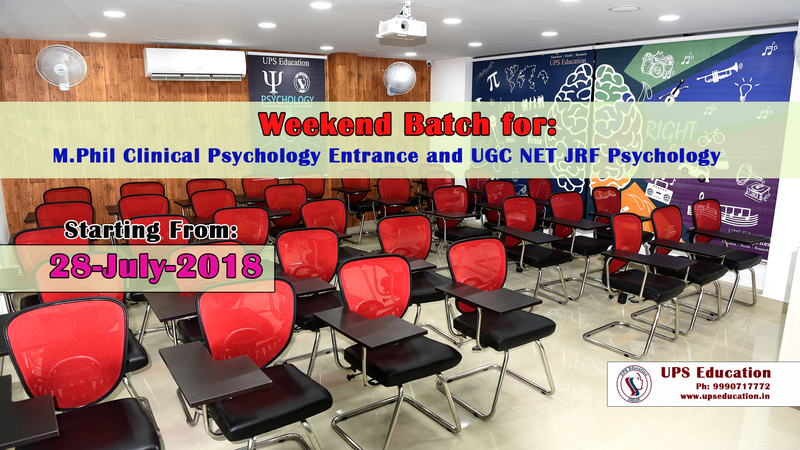 New Batch for M.Phil Clinical Psychology Entrance and UGC NET JRF Psychology Exams is going to start from 16th July 2018 & New Batch for MA/M.Sc Psychology Entrance is going to start from 23rd July 2018. 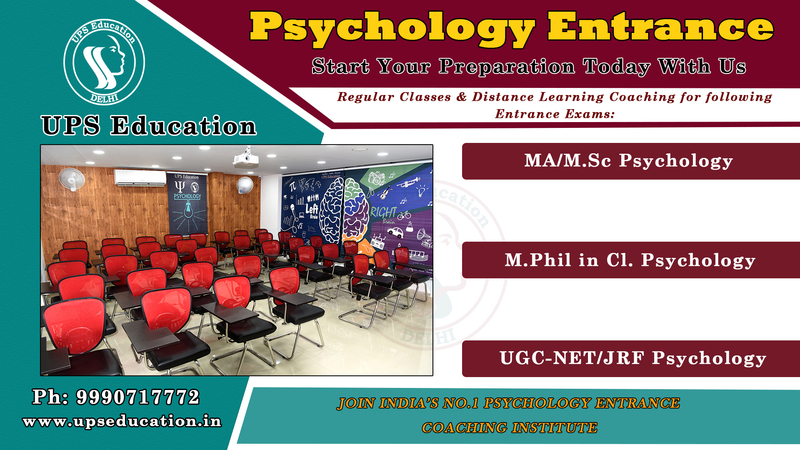 This entry was posted in Best CBSE NET Psychology Best CBSE NET Psychology, Best NET Psychology Coaching, Best NET Psychology Coaching in Delhi, best psychology coaching classes in delhi, CBSE NET JRF Psychology Coaching, CBSE NET Psychology Coaching, Coaching for M.Phil Clinical Psychology Entrance, How to Crack UGC NET PSychology Exam, m phil clinical psychology coaching, M. Phil Clinical Psychology Coaching, mphil clinical psychology entrance, NET JRF Psychology, NET JRF Psychology Coaching, NET Psychology, NET Psychology Coaching, NET Psychology Coaching in Delhi, UGC NET Psychology, UGC NET Psychology Coaching, एम फिल क्लिनिकल साइकोलॉजी, एम फिल नैदानिक मनोविज्ञान and tagged m.phil clinical psychology entrance, ugc net jrf psychology coaching on July 5, 2018 by UPS Education.